On Wednesday, NiceHash sent out two tweets informing customers that their servers are down and the team is working on a fix. 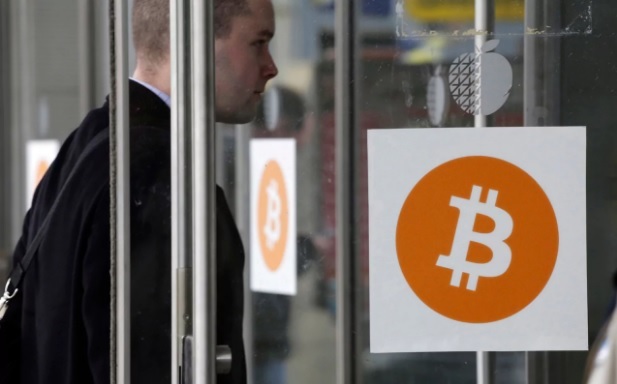 However on 8:29 AM Thursday, December 7, (GMT) the company revealed that its servers had been breached while its site is displaying security notice maintaining that an investigation has been launched to verify the precise number of BTC taken. However, according to a BTC address shared by NiceHash user on Reddit, a sum of 4,736 BTC that is around 66,503,659.12 USD has been stolen. If the address belongs to NiceHash hackers, this is a massive blow for the company. Another important point HackRead.com has observed is that the amount in the BTC address is increasing gradually since initially, the address contained 60,000 USD. Bithumb breach: In July, Bithumb, one of the largest Bitcoin and Ether exchange platforms suffered a breach resulting in the theft of billions of South Korean Won. CoinDash breach: In July again CoinDash (ISO), an Israeli cryptocurrency social trading start-up announced that its crowdfunding page was compromised during Token Sale event earlier today — As a result, hackers stole Ethereum worth $7 million. Veritaseum breach: In July 2017 again, Veritaseum, another cryptocurrency platform announced that their Initial Coin Offering (ICO) suffered a data breach in which around US$8.4 million worth of Ethereum were stolen. Parity Technologies breach: On July 20, 2017, unknown hacker stole $32 Million in Ethereum from 3 multisig wallets by exploiting a critical security flaw in its multi-signature wallet software. Enigma Marketplace breach: In August this year, Enigma, a decentralized marketplace and cryptocurrency investment platform suffered a data breach in which hackers stole $500,000 in Ethereum. The hack took place when the firm was about to start the crypto token sale. Tether hack: On November 19th, Tether, a start-up firm known for offering dollar-backed cryptocurrency suffered a data breach in which a whopping $30 million worth of tokens were stolen. 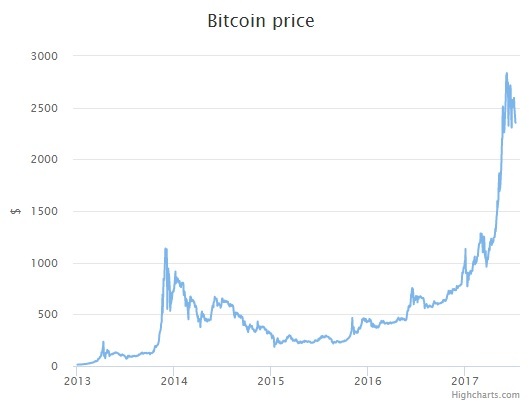 The price of bitcoin has been surging in recent months. Compared to the start of the year, it has more than doubled, and has risen 250 per cent in the last year. Bitcoin is famously volatile - few can predict with any certainty where it will go from here and many believe we're in the middle of a bubble - but one thing's certain: if you'd invested five years ago you'd be doing very well for yourself now. There are two main ways to get hold of bitcoin - buying an expensive supercomputer (with a whopping electricity bill to match), and using it to "mine" bitcoins, the process of solving the cryptographic codes that keep the entire network running. This isn't a realistic scenario for most people, so the alternative is to buy. Buying bitcoins used to be a complicated affair - long waits, massive fees and foreign websites. Now there are a number of consumer-friendly websites for buying and selling not only bitcoin, but etherium and other cryptocurrencies. However, the process isn't always entirely straightforward. Legal bitcoin services are heavily regulated, given the currency's association with online black markets, and its cryptographic nature means security protocols can be complicated. A bitcoin wallet is where you hold your bitcoins. Alternatively you can download the entire bitcoin program (around 150GB), but you're probably not going to go to those lengths, and there's no reason why your computer is more secure than a popular website, so the best option is to use an online wallet, which is sort of like a digital bank account. There is no shortage of wallets, but one of the biggest and most popular is Blockchain.info, which is backed by millions in venture capital funding and has an easy to use website and mobile app. It also takes security steps to make sure your bitcoins are as safe as they can be. Go to Blockchain.info/wallet to sign up, or download the mobile app. The sign up process is as easy as doing so for an email or social media account. Blockchain.info has a series of security measures that you should take to make sure your bitcoins are safe once you do get your hands on them. Other wallets are likely to have the same protocols. Note down your Wallet ID, found in Settings (you'll need it again to log in in future), and use the security centre to verify your email, set up two-factor authentication and so on. After that, you're ready to buy. Once you've got your wallet, you're ready to add some bitcoins to it. As of the time of writing, one bitcoin is worth over £1,500, but fear not - they are infinitely divisible, so you can buy £10 worth (about 0.005 bitcoins) if you want. To do this, you have to find a broker. If you're getting confused, think of it like buying a foreign currency from the Bureau de Change: the wallet is your bank account and the broker is the Bureau de Change. Brokers are the ones handling your real money - you send them cash via a credit card, bank transfer or some other method, and they send bitcoins to your account. Because of this, they often have strict "Know Your Customer" requirements that include identity verification. They vary on exchange rates, fees, method of payment and quality of service. Credit card payments are often quicker, but can incur a fee, for example. The website Bittybot allows you to compare brokers, including trust ratings. To begin with you might want to stick with something easy to use and reliable. Popular sites include Coinify, which is integrated with Blockchain.info, and Bittylicious, which is a peer-to-peer site. Once you have found the right broker, buying is simply a case of spending money with your credit card or with a bank transfer. It might be best to stay away from sites that require international bank transfers, since they can hold up the process. The crucial piece of information you need is a bitcoin address - that's the unique identifier on the bitcoin network that represents your account. Crucially, this is different from the login details on your Blockchain.info (or other wallet) account - but it can be found there. On Blockchain.info, it can be found in the Request tab - it will look something like this: 1CdDgoU4QqZPhD8QSXdNjPT7Cbuug9Viy2. Every bitcoin broker will ask for your bitcoin address - that's the code you give them. Buying bitcoins can take anywhere from seconds to a few hours depending on who you use, but if you return to your Blockchain.info account you should find the coins there. Voila - now just wait for them to surge in value (or fall dramatically, either way). If you want to sell up, it's much the reverse of a purchase - people are quite happy to trade bitcoins for cash just as the other way around. You can use the same broker websites to sell your bitcoins back. This will involve the broker giving you an address to send your bitcoins to - which you do from your wallet. Once the transaction has been confirmed, you should receive a bank transfer or some other form of payment back. Spending is similar - there's a list of places that accept bitcoin here. You simply have to enter the bitcoin address of the place you want to send it to. How can I buy Bitcoins with debit card? How can I buy Bitcoins with a credit card? Gerald Celente - Bitcoin Bounce, Declaration of War!